Commercial lighting refers to the light fixtures used in stores, offices, hospitals and other non-residential facilities. These fixtures are chosen based on the needs of building occupants as well as on their overall look and design. Commercial lighting plans are typically developed by architects or interior designers, in cooperation with electrical engineers. Tubular fluorescent lights are one of the most common types of fixtures used in commercial settings. They are typically recessed into suspended ceilings and covered with a frosted or textured lens. Standard fluorescent lights may contain between one and four bulbs, depending on the amount of light needed in the building. These lights are one of the most energy-efficient and long-lasting options available to commercial users. Metal halides, also known as high-intensity discharge (HID) lighting, is commonly found in warehouses or industrial applications. They typically consist of a ceiling mounted pendant fixture with bulbs and lenses of varying sizes. These lights produce large quantities of very bright light, allowing them to adequately light large spaces. While high pressure halide lights are fairly inefficient, newer low pressure sodium versions are comparable to fluorescent lights when it comes to energy consumption. Incandescent lighting is one of the oldest forms of lighting technology. These lights are used in recessed downlights, desk lamps and many other fixtures. Bulbs built using this technology have a relatively short lifespan and are highly inefficient. They are frequently used in commercial settings because of their low upfront costs and wide availability. Incandescent bulbs also produce light that is similar in color and brightness to natural sunlight, making them popular with many consumers. Halogen lamps are commonly used in outdoor commercial applicationsThese lights are frequently used for security or flood lights, as well as in sports arenas and stadiums. They produce a very bright, white light, and are about twice as efficient as incandescent bulbs. Smaller halogen bulbs are also used as spotlights or display lighting in retail stores. 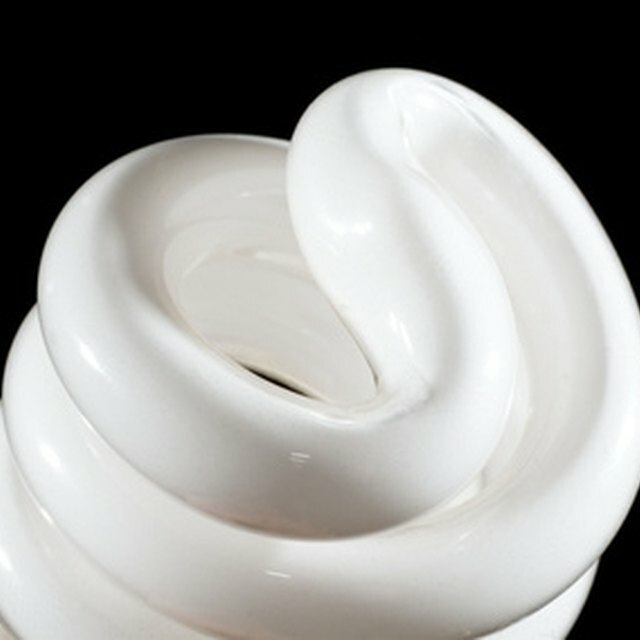 Compact fluorescent lighting is based on traditional fluorescent technology, but relies on a shorter internal ballast. This allows users to install these bulbs in a wide variety of fixtures. They offer the same energy efficiency as tubular fluorescent fixtures, but tend to produce a more natural, white lighting. Compact fluorescent lights are commonly used to replace incandescent bulbs in downlights, lamps and other task lighting applications.